In addition to an utterly idyllic location just outside of downtown Saratoga Springs, Longfellows Hotel offers an array of fantastic on-site amenities and things to do, designed to make your visit memorable. Fuel up with our delectable complimentary Continental breakfast, served in the cozy Fireside Room. Stay connected with complimentary Wi-Fi access in your accommodations and throughout the hotel. Take care of work commitments in our well-equipped business center. Or challenge yourself to a workout in the fitness center before soothing tired muscles with a therapeutic massage. Craving a little alone time? Settle in to one of our reading nooks, or embrace the quietude of our stunning Koi pond. If you need anything at all while you’re here, our friendly team will be pleased to help you. Seasonal entrees served in an alluring setting! Our on-site restaurant spans four levels, each with distinct charm to enhance the cuisine. Our food is exceptional, with plenty of gluten-free selections. 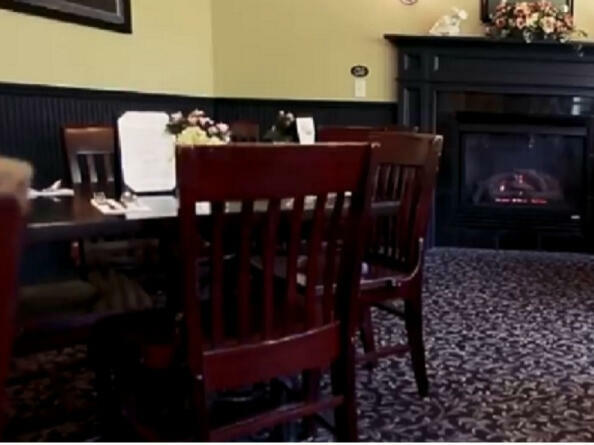 Enjoy a bite to eat and a relaxing visit to our sister resteraunt, The Olde Bryan Inn. A tradition of celebration that began in 1773 and continues today. You can feel it in the warmth of our historic dining rooms and see it in the friendly smiles of our staff. You can taste it in our thoughtfully prepared menus and cheerfully prepared special orders. You can hear it in the contented murmur of good conversation and the hustle and bustle of our tavern. Explore the Saratoga region on two wheels! 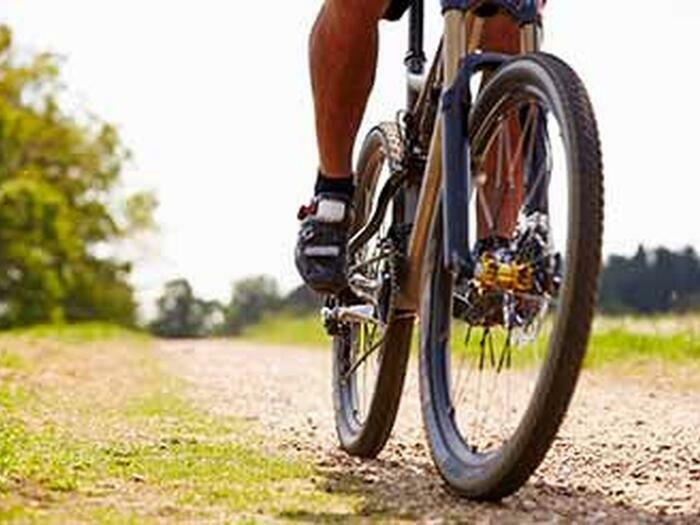 There are a variety of bike trails throughout Saratoga Springs and the surrounding areas, many of which are easily accessible from Longfellows! Let our convenient shuttle service transport you and yours to and from Longfellows to downtown Saratoga Springs. This convenient and efficient shuttle is free for our guests! Beautiful Fish Creek is the perfect place to paddle, swim and explore, conveniently located just minutes from Longfellows and downtown Saratoga. Learn more about Fish Creek and other Saratoga canoe and kayak access points. 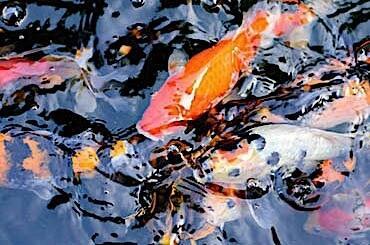 While strolling the premises, make sure you take a moment to find our Koi pond! We’ve created a place to reflect and be mesmerized by the beauty and details of the pond, which is kept well stocked with graceful Koi fish. A visit to the Koi pond is a favorite thing to do among guests. Our attractive Fireside Room features a crackling fireplace to complement the ambiance. After breakfast, this room is open for playing chess or checkers, working, reading or just lounging. Looking for a quiet space to read or have a moment to yourself? We’ve got private spaces throughout both lobby areas to finish that intriguing chapter or catch a minute of solitude. All work and no play? No worries! We’ve got a functional business center open for our guests that include a work station, computer, printer and quiet space to get things accomplished! We have complimentary Wi-Fi access throughout, and fax service is available at the front desk. There’s no question that water has a calming effect on us. Longfellow’s proximity to Brown’s Beach and Waterfront Park is ideal. If you’re planning to spend time at a local beach, enjoy a sunset cruise around Saratoga Lake with the Adirondack Cruise Company or just desiring to gaze out over a glistening lake, our location makes it easy to do! No need to miss a workout! Our fitness center is open 24 hours a day and is equipped with treadmills, elliptical machines and free weights for a full exercise session. We also offer passes to the Victoria Pool in the State Park during summer season. Enjoy being outdoors? Then you’ll love the natural surroundings that make Longfellows an ideal setting for bird watching, walking, biking or hiking! Stay on premises, or visit one or more of the many Saratoga area parks!